Chicago garage rockers Smith Westerns have spent the last couple of years building up a devoted following, winning over the blogs with last year's self-titled debut. In 2011, Smith Westerns will look to take their career to the next level when Fat Possum releases Dye It Blonde on January 18. Once that's out, Smith Westerns will support it with a lengthy North American tour that includes three Canadian dates: Vancouver, Toronto and Montreal. The outing will take the band on a loop around North America, kicking off with a release show in Brooklyn. After touring the south and the U.S. West Coast, the group will play Vancouver on February 16. They will then head into the Midwest before performing in Toronto on February 28 and Montreal on March 1. The tour wraps up a few days later on March 4 in Washington, DC. To build the excitement for Dye It Blonde, Smith Westerns have released a video for the opening track "Weekend." Check it out at the bottom of this page, and watch the band members head out on a slow-motion adventure, shotgunning beers, eating processed cheese and chopping down trees. The song sounds like a cleaned-up version of the band's usual fuzzy garage pop. This beefed-up sound was achieved with big-name producer Chris Coady (Yeah Yeah Yeahs, TV on the Radio). Go here to read more about the album, and see below for the tour schedule. 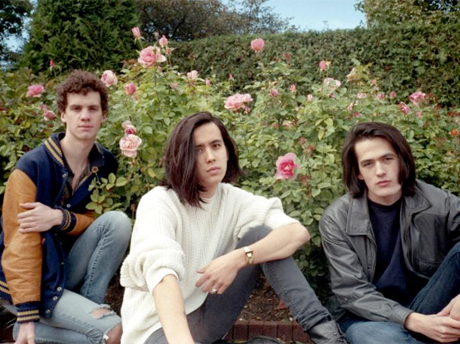 Smith Westerns Announce "Indefinite Hiatus"